Note: BHM Medical seems to have disappeared. Their website url, www.bhm-medical.com, now redirects to www.arjohuntleigh.com's ceiling lift page. I'm assuming that BHM Has been taken over by Arjo Huntleigh. People looking for information on BHM products should probably contact Arjo Huntleigh. I don't know whether this product is still available (I see some dealers still advertising them). I'm leaving the page online as a reference for anyone who might need this information. The new V4 ceiling track lift combines many of the trusted features of the successful Voyager series along with design improvements and new features you asked for! The NEW V4 is the most technologically advanced track lift on the market today. 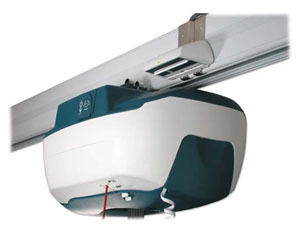 maintenance light tells you when the lift needs service- no more guesswork! modular design: components that require service simply snap out and in. KWIKtrack uses a revolutionary patented bracket that is 40% faster to install than conventional brackets. Its unique locking device keeps the track securely fastened. KWIKtrak�s slim design permits a tight 595 mm (23 in.) turning radius on curves. smooth, seamless joints using a unique pin locking system improves lateral movement and finished appearance.